Synopsis: A young single mother and textile worker agrees to help unionize her mill despite the problems and dangers involved. Did You Know? The screenplay was written in just six weeks. Quotables: NORMA: I’m not asking anybody! I’m going! There is a lot that I have to say about this film, but I am unable to articulate them properly. What I will say is that it is an important film, even to this day. 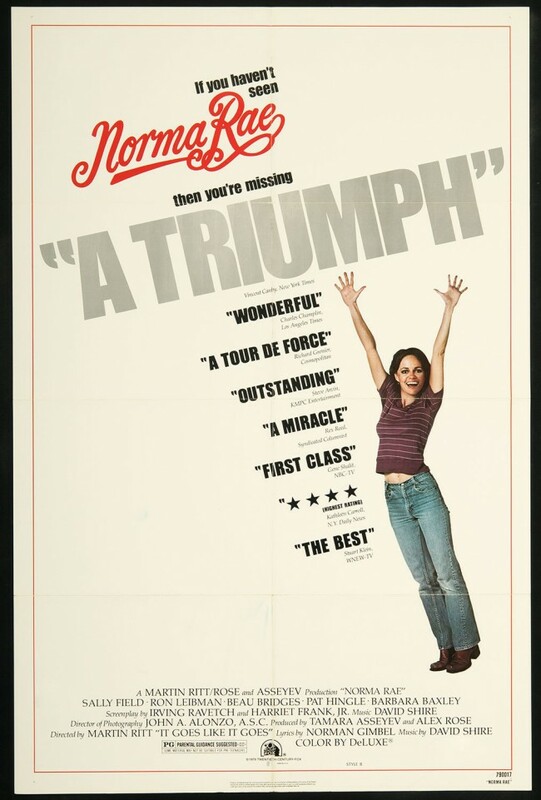 Sally Field is nothing short of extraordinary.